She was right, the blog reader who thought I might know about Pam Dawber’s dress. She was also wrong, because I had to look things up, but it wasn’t exactly hard research. Pam was photographed wearing a rather fetching dress at an event for Stuntmen’s Association last year. And my eagle-eyed reader then found Pam wearing the same dress back in 1967, but while she wondered about the rich and famous recycling their wardrobe, she also felt it did seem far too long ago. It was. Pam would have been 16 at the time, twenty years before she married Mark Harmon, who was also in the photograph. I can’t afford Getty prices to use photos, so can’t show you, but the link takes you there, and it does say 1967. That’s when Dr Dolittle the film premiered. I would guess that the Dr Dolittle premiere Pam and Mark were seen at might have been the stage production in 1998. They look about right for it to have been then. And the dress would have been a mere 15 years old when it came back out for the Stuntmen. I reckon even Hollywood stars recycle. Pam strikes me as the kind of woman who would. And unlike my reader and me, the dress still fit her. Pauley Perrette is 45 today. 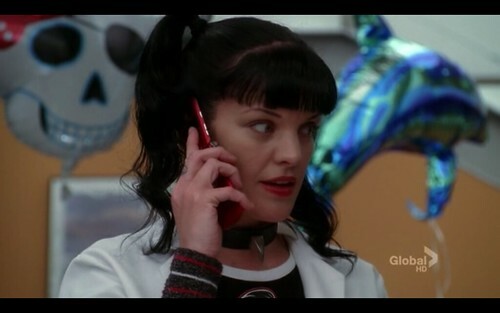 Perhaps Abby Sciuto is as well, but we are less sure of that. Gibbs seems to understand that Abby’s age might be a touchy topic of conversation, so it’s never been confirmed, as far as I know. Abby does know how to celebrate, though, so I’m guessing there is cake in Valencia today. Balloons. I wasn’t going to blog until next week. But very briefly, I liked New Orleans. Very much. Nearly everything was good. Sorry. I’ll stop while I can. I was reading about New Orleans a week or so ago. It seems as if the place has picked itself up after Katrina, and there’s a lot of good stuff happening. Before that article I hadn’t stopped to think about why CBS might pick New Orleans for their next spin-off attempt. It sounds as if there are tax breaks for making films, which could be one reason. Or it could simply be that it’s the new exciting place to go. Or that they can support the rebuilding of the city by sending over a successful hit show. I’m obviously speculating now, before the new NCIS reaches the small screen near you this week. Whereas I wasn’t too impressed by last year’s LA spin-off, I have no reason to be pessimistic about this one. I reckon a ‘real’ NCIS spin-off might stand a better chance. Gibbs has more power than Callen. Let’s just hope it’s not too hipster-ish, but more genuine New Orleans. And I see both Fornell and Franks are appearing. 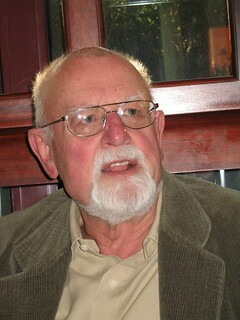 Happy 78th Birthday to Roger Whittaker! The closer I get to being 70, the younger it strikes me as an age you could be. There was finally another newsletter from Natalie Whittaker earlier this month, which ‘as usual’ was full of illness, operations and housing disasters. The Whittakers certainly know how to live a life full of stuff happening. Apparently Roger completed his ‘farewell’ tour last year while in dire need of an operation, and he did it because he’s too old to be insured for the cancellation of concerts. Mrs W now reckons he will not tour again. I suspect she’s right. Sensible, definitely. It wasn’t at all what I’d imagined. 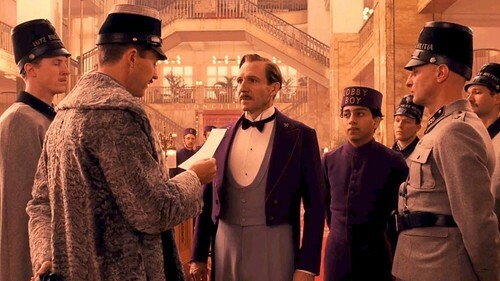 I suppose I was simply a bit careless and thought it’d be a touching story about a hotel concierge. In the hotel, I mean. And it was, but only up to a point. M. Gustave reminded me somewhat of a holiday manager I encountered more than once, but I believe M. Gustave was far kinder and had rather more finesse than Mr B. 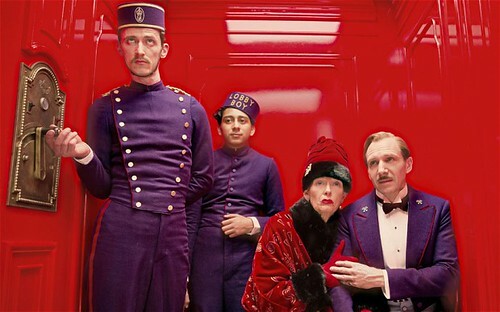 The crazy plot about a hotel concierge who sleeps with all the female guests, but who is both kind and friendly towards his recently employed lobby boy, young, stateless Zero, ought not to work. But it does. Nice, light fun. No need to take it – too – seriously, and if you don’t, there is no need to be disappointed in the film. More big actor names than you can shake a stick at. I could pick out the bad guy from the word go, but then mystery is not what’s important. It’s the show as such, and what a show! Slightly weird plot, but enjoyable. Amusing parallels in the case and in the so called real life for the team. Palmer about to have a baby. Keith Carradine’s character discovering he already had one. Palmer running out, followed by DiNozzo running on a totally different kind of errand. 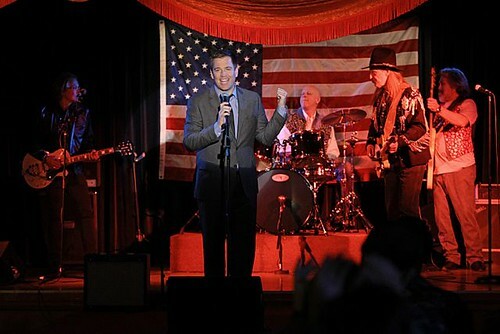 The wedding of DiNozzo Sr will obviously go wrong at some point, but not for want of McGee’s napkin folding knowledge. Bishop was behaving almost normally for an NCIS agent. Please let her stay normal. Although if someone could point out that talking loudly as you’re sneaking around a possible crime scene, isn’t the most discreet thing to be doing, I’d be grateful.